I got a order from a well know company. 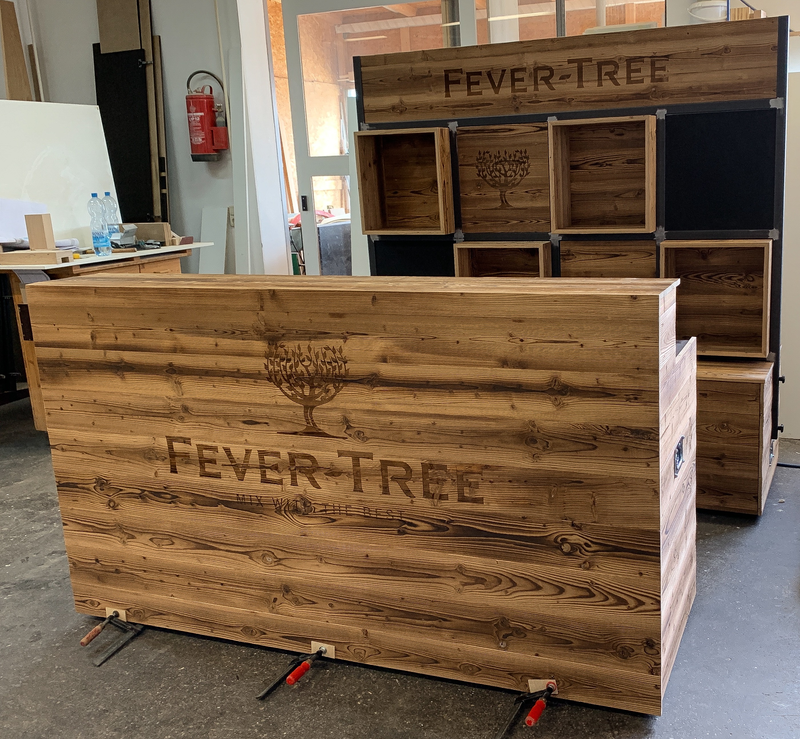 They wanted a bar for promotion events in wood in "used look"
I think the logos turned out very well, didn't expect it to be this good. To get the Logo this big i cut it into smaller pieces and lasered them one by one. very dense infill - dont know the settings now..